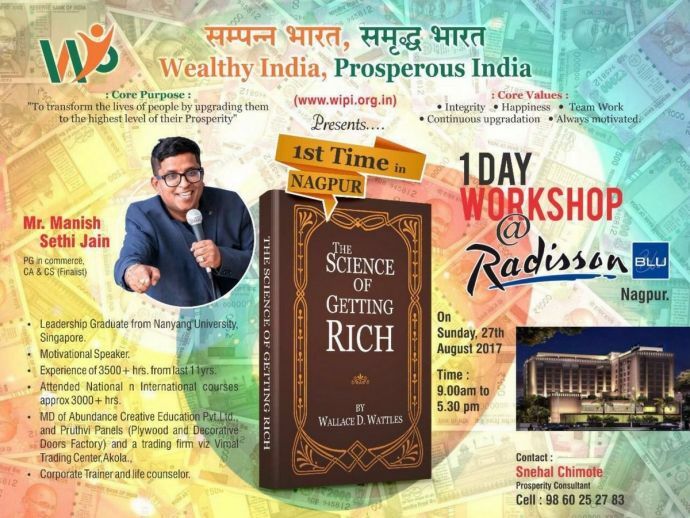 Nagpurkars Can Now Learn The Science Of Getting Rich, Very Soon! The workshop will be held in Hotel Radisson Blu on August 27. It is said that the root cause of all problems is money, but do you know the root of money? Are you an ambitious professional who wants to change his fortunes? Do you want to get rich but don’t know the easy and seamless procedure? Well, then you should definitely attend Wealthy India, Prosperous India’s workshop which is focusing on ‘The Science Of Getting Rich’. The one day workshop is scheduled in 5-star Hotel Radisson Blu on Sunday, August 27 from 9 am to 5:30 pm. Prominent motivational speaker Manish Sethi Jain, who has an experience of 3500+ hours in the last 11 years, is conducting this workshop. 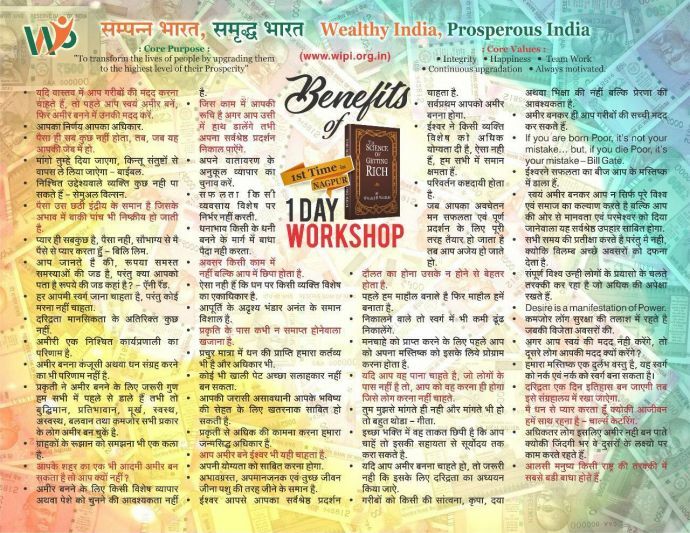 The whole workshop is based on a book of the same name, which was written by Wallace D Wattles and that talks about the ways with which one can overcome mental barriers and get the hidden keys of wealth creation. Moreover, the sole purpose of this whole event is to transform the lives of people by upgrading them to the highest level of their prosperity. Also, the workshop will focus on important topics like integrity, happiness, and teamwork. While there are limited seats only, this life changing workshop is going to cost you Rs 7000, but we’re pretty sure that this can be a very fair future investment. For those registering before 20th August, the organisers are offering a lucrative discount and you can get the entry by investing just Rs 5000.